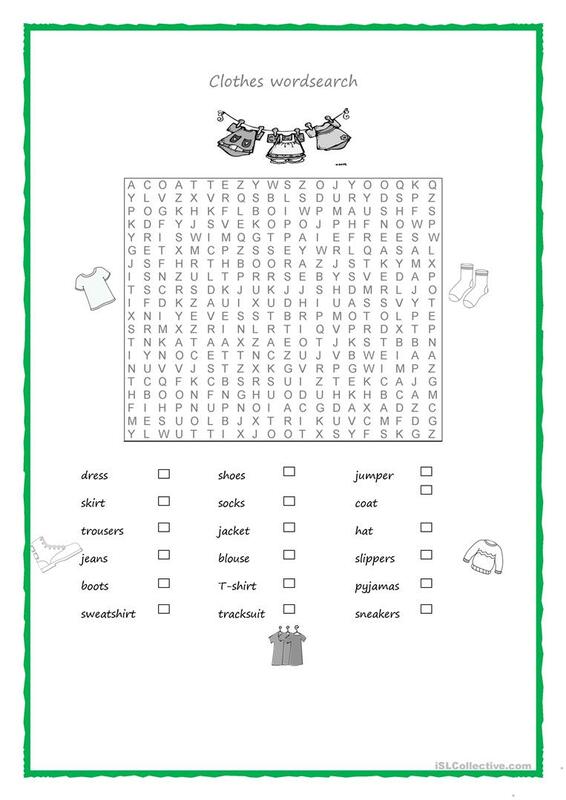 A wordsearch about the most common items of clothes. Students search for them in the wordsearch and then put a tick in the correct word. A color versión and a black and white one. 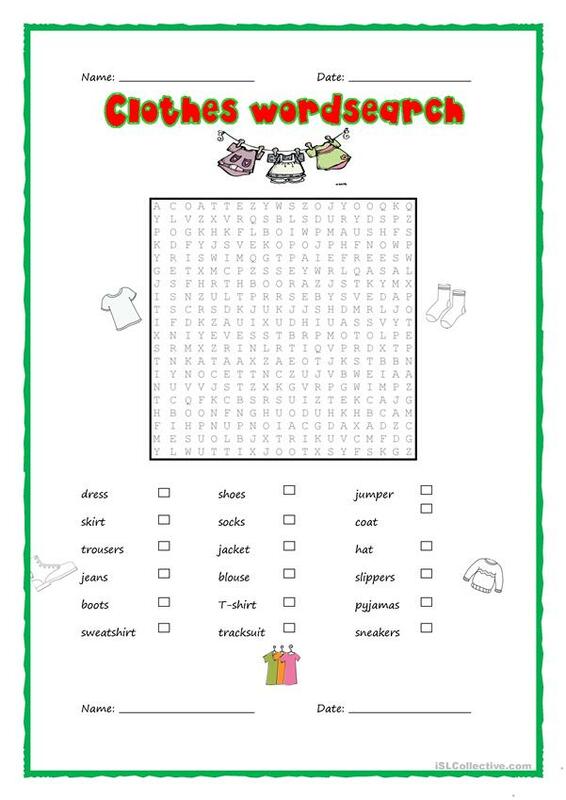 The above printable, downloadable handout is intended for high school students and elementary school students at Elementary (A1) and Pre-intermediate (A2) level. It is about the vocabulary topic of Clothes, fashion.